The casting company is seeking cool and edgy types. The scene will be shot in New York City. 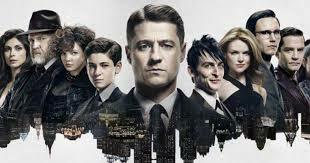 Filming is currently underway for the new season for a series based on DC Comic’s batman franchise. Note: please send in candid photos and not headshots to gotham@gwcnyc.com. On the subject line please mention your facebook name, name, club patron, union status, and phone number. In the email body mention your height, weight, waist x inseam, neck x sleeve, jacket, and shoe. Women must mention bust, waist, hip, dress, and shoe measurements. The casting call is only meant for background work. The job requires a full day and night availability. Everyone needs to have proper identification to be eligible to work, and must be residing in the tri state area.